There are a handful of companies that have been undoubtedly on the decline for the last several years. The business is cutthroat, whereby things can rapidly change in a heartbeat, so if there’s no substantial progress earned, it’s feasible that the end isn’t too far away. We can count a few notable companies in this particular situation, like HTC, who has struggled to make itself noticed. Or in the case of Motorola, after years of attempting to make a turn around by itself, eventually got gobbled up by Google, then subsequently Lenovo. There’s also Microsoft, a company that has taken pride in its line of Windows devices, but has yet to make any sort of impact in the mobile space. You know who else in this situation? BlackBerry. Countless times already, they’ve tried to reinvent themselves for the modern times, but they, too, failed in generating any interest from consumers. Instead, it’s only the diehard BlackBerry faithfuls that have been able to keep them afloat for all this time. 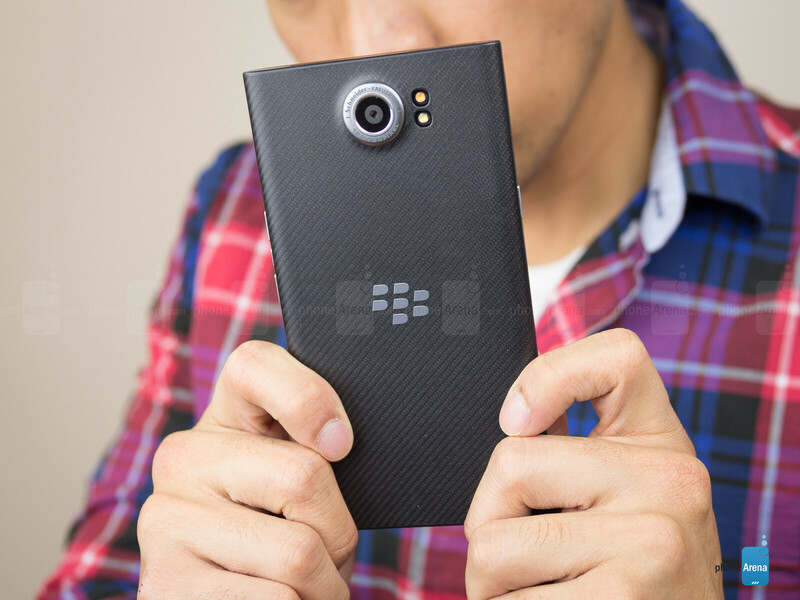 Well, here we are at the tail end of 2015, and the future is still uncertain for BlackBerry. The company is still acclaimed for its unrivaled commitment to security, but rather than just build upon that with its existing platform, BlackBerry is now ready to try its luck in the Android business. 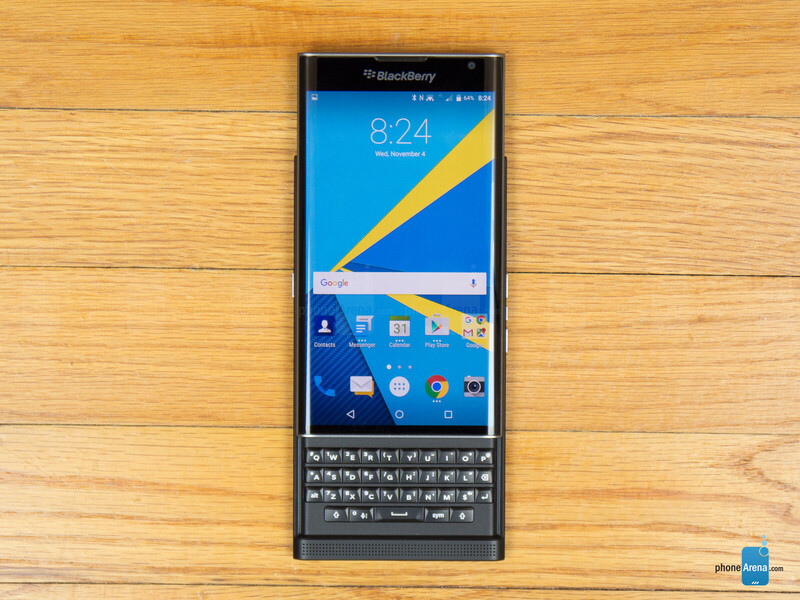 Say hello to the PRIV by BlackBerry – a charming portrait QWERTY slider that’s distinguishably BlackBerry, but powered by Android. Can this sacrilegious venture prove fruitful for the company, possibly becoming the catalyst in reestablishing their direction towards greener pastures? In the world of portrait sliders, this is as good as it gets. 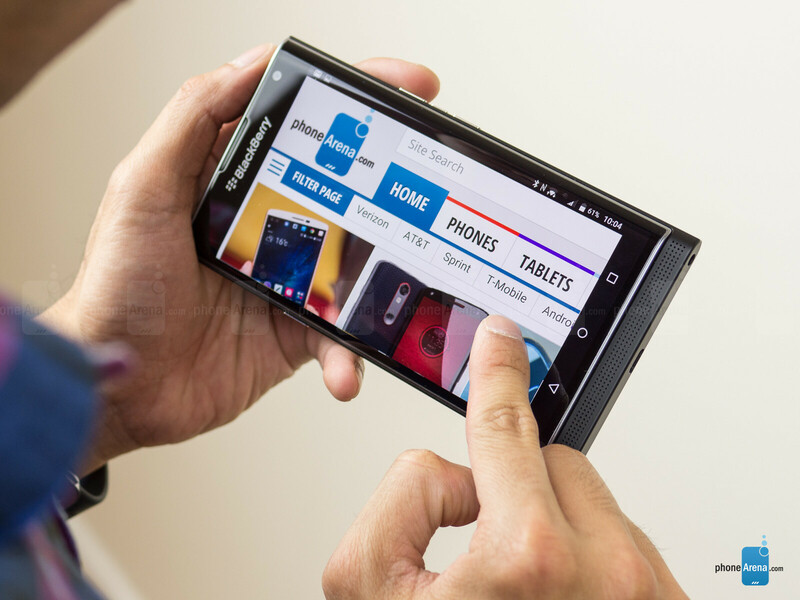 Phones with physical keyboards, they’ve become quite uncommon, as touch input has very well become the prime choice for today’s modern smartphones. 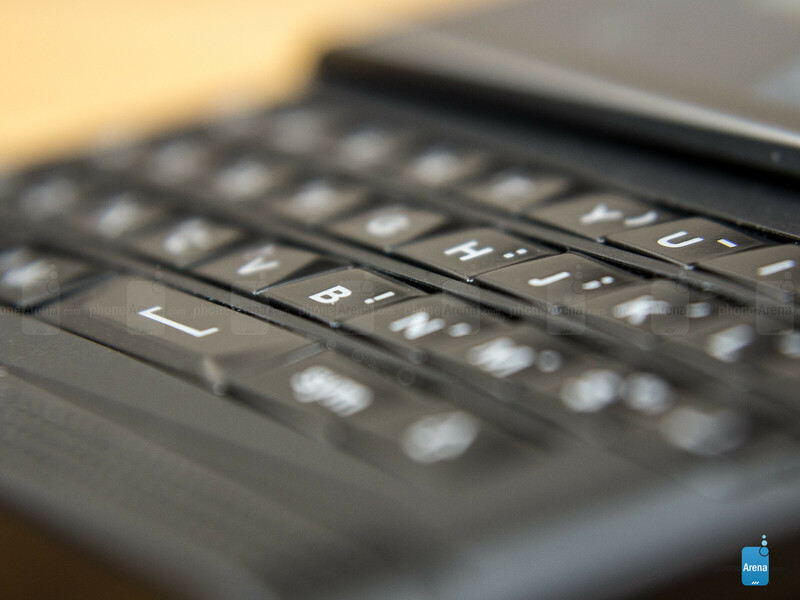 At first glance, most people will easily mistake the PRIV as an all-touch device too, but this wouldn’t a true BlackBerry without its signature keyboard implementation. In terms of design, the PRIV borrows heavily from the Passport, which isn’t a bad thing, seeing it exudes an industrial styling that’s attractive. Naturally, the PRIV is longer due to the larger screen, but what’s really impressive is that it achieves a profile of 9.4mm. For a phone that packs a keyboard, that’s not too shabby at all – while also sporting dimensions that are a smidgen more compact than the iPhone 6s Plus. 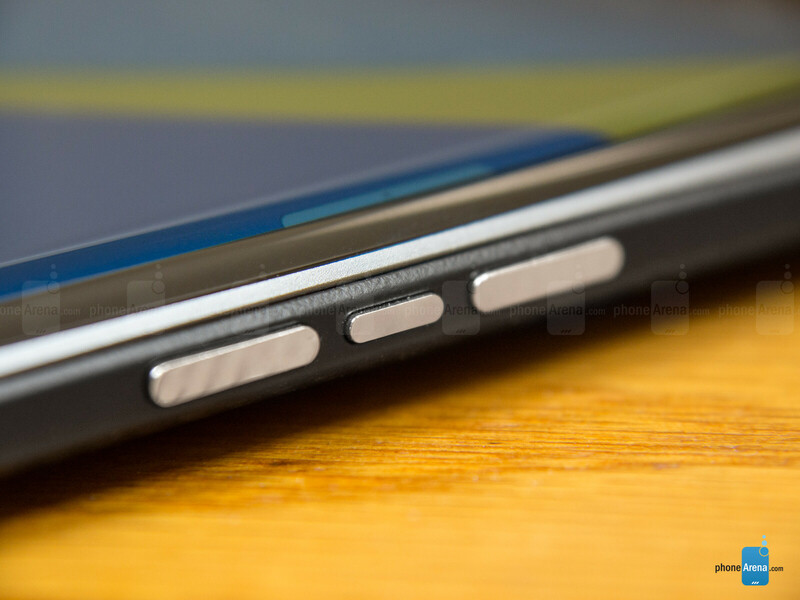 Attention to detail is evident with the PRIV’s design, made obvious by the materials they opted to employ. In particular, its aircraft-grade aluminum frame accents nicely against the black rubbery texture of its casing – where it sports this almost carbon-fiber-esque pattern. There’s no slippery feel to the phone thanks to this finish, but its construction isn’t as solid as that of the Passport considering there are two components that primarily make up the phone; the sliding front panel that accommodates the screen and the other for the keyboard. The sliding mechanism is smooth and locks into position, while giving us those satisfying clicking sounds that are typical with portrait sliders. 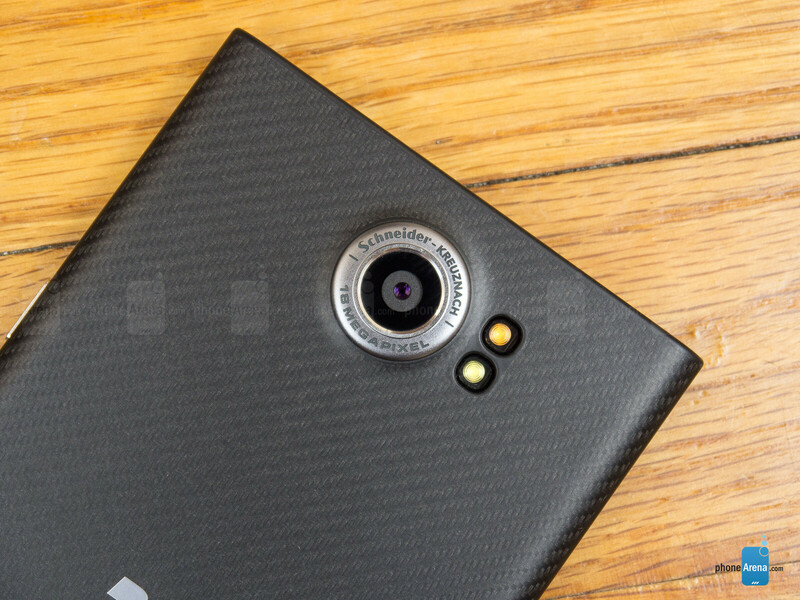 In the Android space, the PRIV’s design is undoubtedly original. 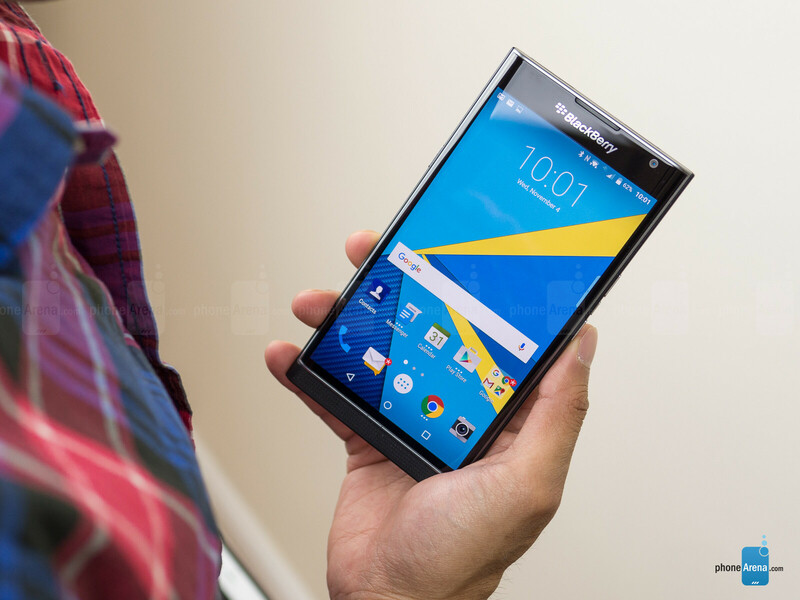 BlackBerry’s signature styling is plainly evident just looking around the PRIV. For one, it features the same volume control/mute button configuration around its right edge. The power button, however, is situated all by itself along the left edge. Yes, it’s one of the few phones that opts to place it there, but it’s merely a matter of getting acquainted before it becomes natural. Interestingly, the speaker takes position directly below the display, in the small nook that’s there towards the bottom. While the micro dots extend throughout the entire width, because the speaker is mainly driving sound through the left-most area of the grill. Rounding things out, there’s a multi-colored LED notification light above the display that can be adjusted for specific notifications – yet another rarity we don’t see in many phones. Above all else, the keyboard merely offers convenience – a pleasant alternative to touch input. Some of the best QWERTY smartphones come from BlackBerry’s portfolio, so it’s not shocking that the PRIV offers versatility in the form of its portrait slider keyboard. 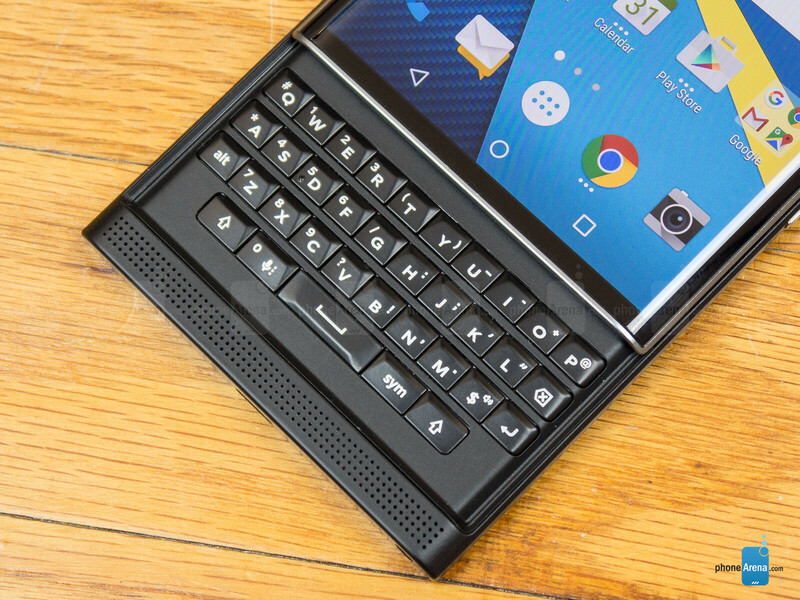 Sliding the screen upwards reveals the 4-row layout, which interestingly enough, follows very much to the styling of the Passport – as opposed to the more favorable, signature sculpted buttons in the BlackBerry Classic. The keyboard here is better than that of the Passport, due to the fact that many punctuations and numbers are accessible from this layout, whereas with the Passport, they could only be accessed via the touchscreen. What makes it even better is the fact that additional buttons, such as shift, symbol, alt, and others, are here in the layout. Each press is accompanied with a satisfying level of tactility to ensure something has been pressed, so for those who really enjoy a physical response, it’s no doubt present here. Other features taken from the Passport include the keyboard being touch sensitive, enabling us to use it to precisely place the cursor in a passage of text, highlighting stuff, and also scrolling – all of them help to complement the experience. As much as we’d like to say that we favor this method, we still find our pace considerably slower than touch-input via its on-screen keyboard. Nevertheless, the main selling point here is that we have the best of both worlds at our disposal. Very good AMOLED screen, with options to tweak color balance and saturation. 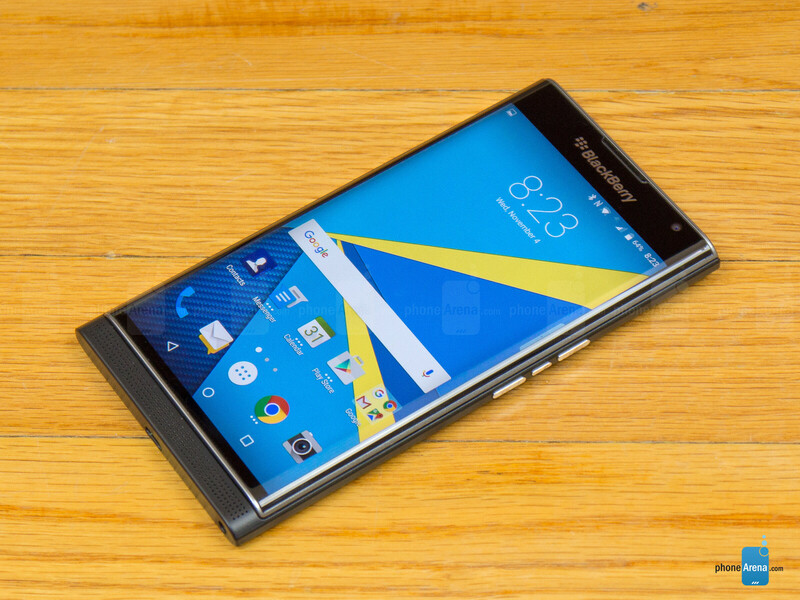 The PRIV comes at us with a pretty formidable screen that clearly dictates it as being an elite-oriented smartphone. Fashioned with a 5.43-inch 1440 x 2560 Plastic AMOLED screen shielded by Gorilla Glass 4, there’s certainly no shortage of crisp details with this one and its 541 ppi pixel density. 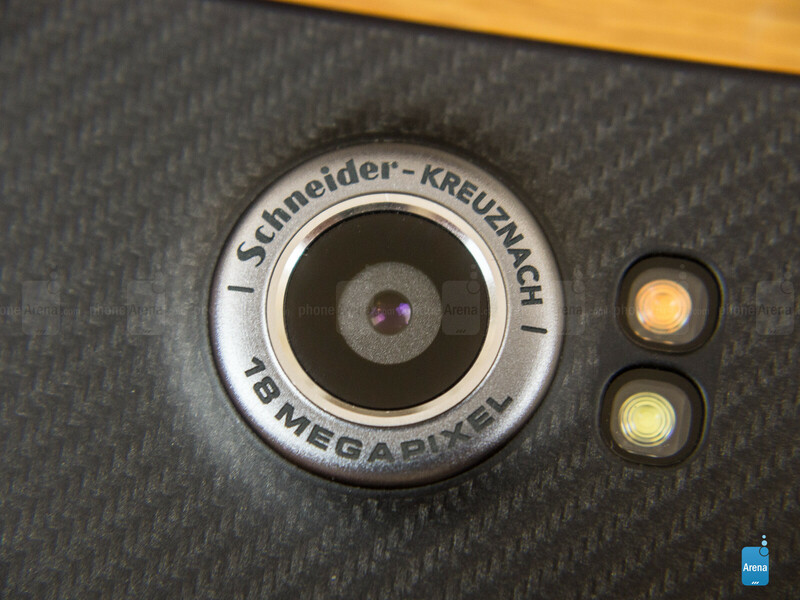 What’s most peculiar, though, is the realization that they went with AMOLED technology, marking the first time we’re coming across a BlackBerry-made smartphone using the technology. Beyond the specs, it’s the subtle sloped edges that make it unique, following in nearly the same manner as the Samsung Galaxy S6 edge/edge+. The curve is a very gentle one – nowhere as dramatic as the Galaxy S6 edge/edge+ curves. So what about the screen’s quality, is it any good? Generally speaking, yes, it manages to produce some very favorable results. Color balance is quite natural on the whole. There's a bit of oversaturation, but it's not extreme. Interestingly, there are adjustments in the settingsfor display color balance and saturation, so it can be tweaked to the user's liking. In the past, BlackBerry’s line of smartphones have always been known to be accompanied with the brightest of screens. Impressively enough, the BlackBerry Q5, Classic, and Passport take up the top 3 spots in our testing. Going with an AMOLED panel here for the PRIV, however, it only reaches the decent, but not great, 404 nits – far short of the blinding glows of those previous efforts. And with that, it doesn't come off as particularly easy to view outdoors. Overall, the display here is no doubt the most ambitious to date with BlackBerry. While some of us will try to overlook the potential novelty of the dual-curved edges, the display is a good complement to the company’s footing into Android land. A little harsh with the rating, no? A simple patch update should fix the Bluetooth, GPS, and earpiece in about 2 weeks. 8 would've been more appropriate. Actually, it is so reasonable. Have you read other sites reviews? Like Engadget? http://www.wsj.com/articles/blackberry-priv-review-blackberry-may-win-you-back-with-android-1446786132?alg=y&linkId=18545843 http://m.androidcentral.com/blackberry-priv-review http://venturebeat.com/2015/11/05/blackberry-priv-review-android-with-a-hardware-keyboard-is-wonderful/?linkId=18546033 There were more positive Priv reviews than there were negative. And it's completely laughable that you would choose Gizmodo. There disdain for anything that's not the iPhone is well known. Engadget's review was much more fair and reasonable. And yet, it was more reasonable than this. 8 to 8.5 in my book. But yeah 7.2 because of overpricing. PA certainly takes value into account. If the Moto X Pure cost $600+, they wouldn't have rated it so highly. Damn....honestly though other than some hiccups with the software side of the camera, and the slightly power hungry SoC (and also the price point) I would a gave it an 8. Very fair reasoning on your points though John V. Good stuff man! This rating is not fair! Based on specs alone I'd give it an 8.5, only real negatives I see are the lack of some form of biometric security (because passwords and PINs blow), and Android 5 instead of 6. Granted, I haven't used the device and some initial reviews are saying the software is a bit buggy, but what new device isn't a bit buggy? Also, how is the display not listed as a pro? BlackBerry's Picture Password is actually pretty good. No mention of it at all. Not a very well done review, from what I'm seeing. Android Lolipop is fine. I think it would have gotten a better review without a keyboard because it's not necessary anymore and just adds to the size. I'm torn on that. On one hand, yeah the keyboard is just extra weight, and almost definitely contributes to the price. On the other, it's one of really only two things that set BlackBerry apart from the competition, and you're cutting the physical keyboard niche out of the equation. BlackBerry has some pretty tough strengths to sell, as strong as they may be. The PKB is how BlackBerry differentiates from other Android OEM's. Seriously, if BlackBerry had released an all touch "me too" Android slab, how would it stand out in the Android crowd? And the PKB on the Priv is innovative, just like the one on the BlackBerry Passport. The Priv is no bigger or heavier than the G4, Moto X Pure or the OnePlus two. And the slide out PKB never has to be used, if one so chooses, due to the vkb on the device. I'd argue that the Bb's secure back end, diff app ecosys execution and the general intrigue of how will Bb fork Android further post Priv are ample enough differentiators. Big Bb critic I may be but I never doubted Bb's ability to improve on vkb. Priv's primary gripe point from some reviews center around its RRP which while understandable from Bb's biz PoV, irony is on the form factor precisely because it's well designed and yet the premium has to be there for adopters to enjoy the build quality. I just hope that this hits the 5mill mark or even exceed it for the sake of its user base moving on forward. On my end I'll drop my droid full time gig in a dime if they score the numbers and bring us a full touch Priv 2. Biometrics aren't THAT secure. If you are asleep, I get your phone, put your finger on the scanner, and presto I'm in your phone. Or I chop of your hand. Can't do that with a password. ... /s If you work in a field where someone is going to sabotage your phone and your finger in your sleep, you need something a bit more powerful than a BlackBerry. Look at it this way. I'm not anti cop, but there are some here lately that insist on looking at phone content, with or without warrants. With a fingerprint scanner they could, if determined, get into your phone by just putting your finger on it whether you agreed or not. Court opinion right now, is that you do NOT have to give them your password. It's about privacy. I'm a law Abiding person, but I'm also my own man and I expect the authorities to follow the same laws. That's an argument for you choosing not to use the fingerprint scanner, and to stick with a passcode. I think it's nice to have the option. PhoneArena is infamous for giving low ratings to BB, they gave the passport only a 7 even though most other sites gave it at least an 8.